I come from a family of thank-you note writers. It is not optional in this family, and everyone pretty much complies. We are all a little more lenient on the college kids (ahem) whose parents aren't nagging them to get them out. But we all know, no matter your age, the Grands (that's Grandma and Grandpa) expect them. Recently I was at the Grand's home in Florida with a few teenage girls for the Harry Potter excursion. One of these sweet girls got violently ill. Now it takes a lot to scare me, but 10 straight hours of vomiting will do it. I was at a loss, and remembered the terrific "geriatric" pediatrician who lives next door. We call her that because A. she is so good to my aging parents and they ask her for advice and B. she has a great sense of humor. I'm not sure she was thrilled to hear from the neighbors/daughter/from out of town, early on a Sunday morning, but I was one desperate mom. She couldn't have been nicer. She called in some "No More Puking Pills" and gave me the low down on introducing fluids and food. It took a good day, but Jessica was back in the world of the living and off to Busch Gardens with us in a day. So I decided that I needed a special thank you. 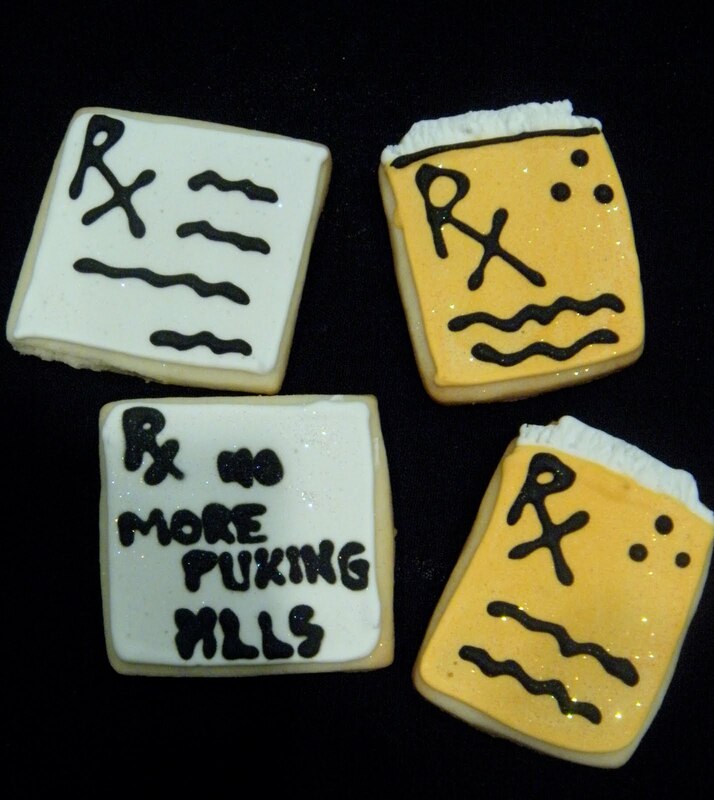 So I baked Doctor Cookies. Now they have a bit of refining to be done, but I think it is a good start. I had to sort of improvise with other cookie cutters and my icing was too wet. But I made prescription pads, a pill bottle and the white coat. 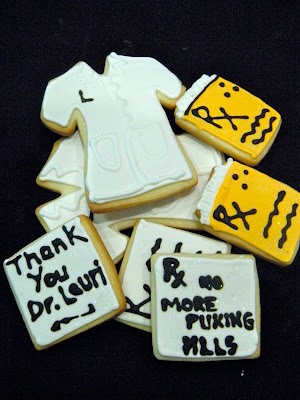 Thanks Dr. Lori, you are the best!!!! Since I was at it, I decided to make a few for my future favorite doctor. My niece Anna started medical school this week at the University of Iowa, and I am as proud of her as her own momma. She is an amazing athlete, beautiful, and so dang smart. I am praying for a Plastic Surgeon, but I think she has higher aspirations than her aging aunts. Shoot. Oh well, Good Luck Anna, we all know you will be an amazing physician. Kinda makes ya want to do something I can thank YOU for huh? Hee Hee. Too Tasty to Not Repeat! So, we are preparing for a volleyball tourney in Huntsville this weekend. The volleyball world is an interesting one. The teams, about 16, check in at the gym and are required to stay on premises the entire day. If matches go quicker than scheduled, everything gets moved up. So the prospect of 10 hour stretches in a gym are a little overwhelming. Many teams have wizened up. We pack coolers of good food to keep everyone nourished and happy, parents too. School concession stands are okay, but you don't get much energy from Nachos and Cheese Sauce! Yes, I am well aware my birthday has come and gone. I share my special day with Christina, and this year she was away at Senior Retreat, Nic was in Colorado and so it was Scott and I. We had ice cream cake early to celebrate Christina's birthday, but an ice cream cake doesn't qualify for my birthday cake. So I baked my own cake, then got caught up in the day, and ended up freezing it, and never even got a taste or a glob of frosting on it. Now I have had flourless chocolate cakes, ganaches, vanilla bean genoise, I have baked or tasted it all. So what do I want when I want cake? The humble angel food cake with sticky frosting. Straight from my childhood. Many years ago, I sold Duncan Hines Cake Mix. 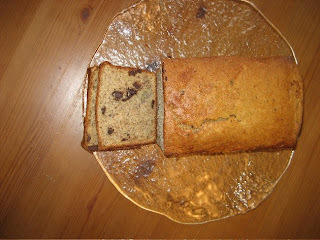 Proudly the only layer cake mix on the market at that time without beef tallow (a nice name for cow fat) or lard (that would be pig fat). Blech! Duncan Hines taught me to be a label reader. Nowadays, the trans fat cops do a lot of the work for you. Also back in the old days, Duncan Hines made a two-step angel food cake mix, and it was divine. But no, the American housewife felt like two steps was a step too many. So the new and improved mix hit the market and the little old ladies were, quite frankly, a little pissed. At least in Iowa. The new mix didn't really taste home made to them, I wouldn't know. But alas, even I would agree it is a LOT easier than home made. I love egg whites, I love beating them into glossy peaks, baking the meringue, folding them in batters, but I have never baked an angel food cake from scratch. Sue me. There are some things I shortcut, not many. Maybe on that day when I have a dozen eggs begging for a job to do, I'll whip one up, maybe someday soon. But on my birthday, time was of the essence and I made a Duncan Hines Angel Food Cake, and still didn't have time to frost or eat it. So on this brutally hot August day, my belly declared it was tired of all the raw veggies and vinegar I seem to be eating so much of. I need a sugar fix. So I defrosted the cake and made Seven Minute Icing . Honestly, I could put this stuff on rice cakes. I could eat the entire fluffy bowl of goodness. So I piled it on to high heaven. Plugged up the hole in the middle of the cake, and plopped a candle for the lonely little birthday that came and went. Don't be feeling sorry for me. You should be very jealous. This is heavenly! This is what's for dinner. It is over 100°, no one is in the mood for heavy food. So quick, fresh and easy, please. 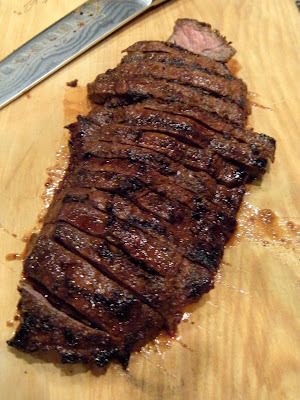 I bought a flat iron steak and was tired of the Asian marinades I have been cooking all summer. I was in the mood for a little spice. Enter, Merken. This is a Mapuche Spice from Chile. It uses Goat's Horn Chile Peppers, coriander seed, cumin and salt. The peppers are sun dried after picking, and then are smoked in wicker baskets hung from the ceiling over a wood fire. They are then stone ground and mixed with the other spices, although the chile is the predominant flavor. It is not hot at all, just smoky and complex. Make this into a paste and cover both sides of the flat iron. Let the steak chill, wrapped well for at least an hour. Over a hot grill, cook the steak for about 4 minutes each side. It is best hot and medium rare in the center. 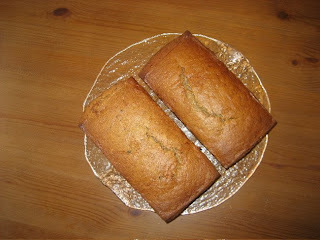 It will be prone to burning because of the brown sugar, so keep an eye on it. 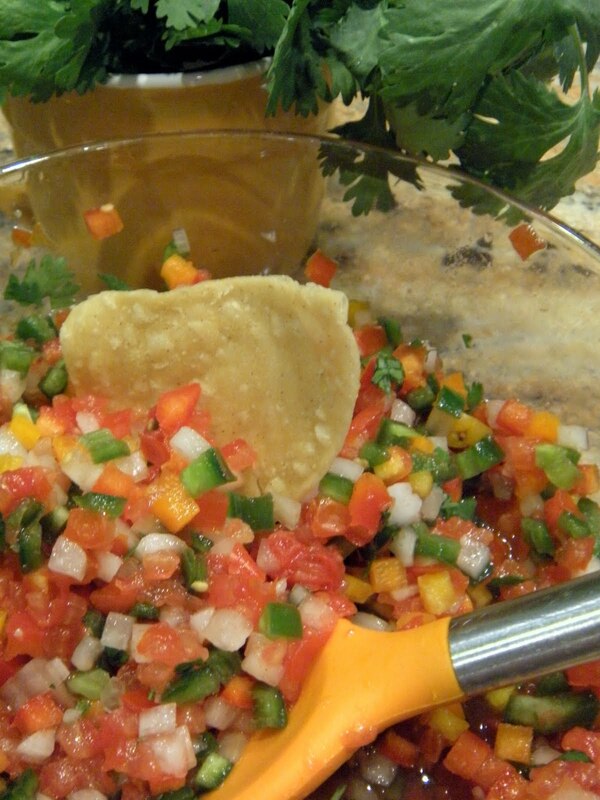 We are having ours with pico de gallo. The garden is bursting with jalepenos, so I whipped this up. Delicious and cool with the meat, delicious with tortilla chips before dinner even gets to the table. I use a chopper from you-know-where, and that is why everything is precisely the same size. I know Gordon Ramsay would kick my lazy little behind out of the kitchen for not chopping them by hand, but boy, it is SO easy this way! Notice my grapefruit spoon, it does a great job seeding tomatoes and peppers! Does it get any easier than that? I plated it up with a little quinoa I made a few nights ago. I love summer eating! Get out there and grill! So, I got another one of those emails from my mom. You know the kind, the subject is fwd:fwd:fwd: and there are 1,000 email addresses from all the people whose computer this gem has sailed through. I usually don't pay much attention. But cucumbers caught my attention. I love a fresh picked, from my garden cuke, eaten whole, dunked in vinegar and salted liberally. I am always so disappointed in the grocery cukes with that heavy coat of wax on the skin. The skin is the part I especially love. So as we endure the 118° heat index, I decided to pick a few cucumbers and see if we can debunk or verify the cucumber-isms. This is hard to believe, they aren't that big and seem to be mostly water. But I researched it. And according to the all mighty Wikipedia it does have all those vitamins and minerals. Now don't get too excited. Think of that Total cereal commercial, "You have to eat this many cucumbers to get a full days worth of Vitamin B5", and there would be 150 cucumbers piled up. But still, it is a broad spectrum in that little veggie, that is actually a fruit. This I agree with, it is like drinking a glass of water! And no sugar let down an hour later. 3. Tired of your bathroom mirror fogging up after a shower? Try rubbing a cucumber slice along the mirror, it will eliminate the fog and provide a soothing, spa-like fragrance. Sorry, this one wasn't a success for me. I hate streaky glass, and I really have to crank the heat in the shower to get steamed mirrors. The truth is I take cool showers 12 months out of the year. 4. Are grubs and slugs ruining your planting beds? Place a few slices in a small pie tin and your garden will be free of pests all season long. The chemicals in the cucumber react with the aluminum to give off a scent undetectable to humans but drive garden pests crazy and make them flee the area. I don't think I have slugs, but I do have a golden retriever. Daisy could care less what the cucumber reacted with, she ate them up. Heck, she has probably been eating my grubs! 5. Looking for a fast and easy way to remove cellulite before going out or to the pool? Try rubbing a slice or two of cucumbers along your problem area for a few minutes, the phytochemicals in the cucumber cause the collagen in your skin to tighten, firming up the outer layer and reducing the visibility of cellulite. Works great on wrinkles too!!! Bahahahahahahaa! Sorry. I wouldn't even waste a cucumber trying this. I am a swimmer, if I put on a swimsuit, I am going to get wet. I suspect those phytochemicals aren't water resistant. 6. Want to avoid a hangover or terrible headache? 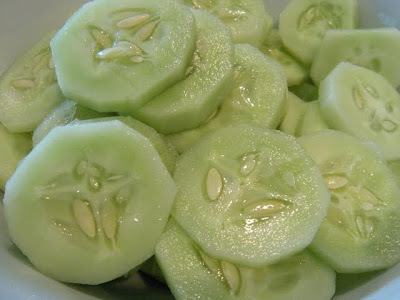 Eat a few cucumber slices before going to bed and wake up refreshed and headache free. Cucumbers contain enough sugar, B vitamins and electrolytes to replenish essential nutrients the body lost, keeping everything in equilibrium, avoiding both a hangover and headache!! I haven't had a hangover in years, but I do like a few glasses of wine at times, and I do tend to wake up with a headache. I suspect it is dehydration, so eating cucumber before bed would be a natural remedy. The best part is I probably wouldn't have to make a late night trip to the bathroom! 7. Looking to fight off that afternoon or evening snacking binge? Cucumbers have been used for centuries and often used by European trappers, traders and explores for quick meals to thwart off starvation. I have never been close to starvation, but I do love a cucumber in the afternoon. In the winter I go for the apple. I think any fruit or veggie at 4p.m. will keep you from bingeing at dinner. 8. Have an important meeting or job interview and you realize that you don't have enough time to polish your shoes? Rub a freshly cut cucumber over the shoe, its chemicals will provide a quick and durable shine that not only looks great but also repels water. I tried this on my Dansko clogs that I wear to work all the time. They looked good initially, but no shine to be found. Now I don't polish these shoes so there is no "wax" on them. So I tried it on a pair of my husband's as he is always getting a shoe shine. Basically the cuke juice sat on top of the wax. Finally I found an old pair of his shoes getting dusty in the back of the closet. Initially they looked pretty good, but as they dried, they looked like they needed a shoe shine. 9. Out of WD 40 and need to fix a squeaky hinge? Take a cucumber slice and rub it along the problematic hinge, and voila, the squeak is gone! Ah, nope. Maybe if you had cuke juice in a can with pressure shooting it between the hinges it would work. Rubbing cuke slices on hinges makes a mess and nothing else. 10. Stressed out and don't have time for massage, facial or visit to the spa? Cut up an entire cucumber and place it in a boiling pot of water, the chemicals and nutrients from the cucumber with react with the boiling water and be released in the steam, creating a soothing, relaxing aroma that has been shown the reduce stress in new mothers and college students during final exams. I give this one a thumbs up. When I was in high school I would steam once a week. I have used cucumbers and would also pillage the spice cabinet. Good luck finding someone to help you with this. My family was not interested in checking my breath. But if I don't have a TicTac in my purse, I likely don't have a slice of cucumber. 12. Looking for a 'green' way to clean your faucets, sinks or stainless steel? Take a slice of cucumber and rub it on the surface you want to clean, not only will it remove years of tarnish and bring back the shine, but is won't leave streaks and won't harm you fingers or fingernails while you clean. Okay, my shower faucet is not tarnished, but does have water spots, and yes, a cucumber and a dry cloth takes it off. So does windex and a lot of other things. HOWEVER, I found an old silver plate wine coaster with a pretty intricate design. I never use it because it turns black within a month of cleaning it, and I hate that gunky silver polish and all that black tarnish coming off. OMG, that cucumber slice cleaned it right up. I just could not believe it. If my kids ever wrote on my walls in crayon I would throttle them. That being said, cucumbers are wet and paper is absorbent. Not a god combo. I tried it on a thicker index card, and this was an epic fail. It really was funny doing all these experiments. My dogs L-O-V-E cucumbers. They followed me all over the house while I did my tests and were happy to eat the rejects! As i said my favorite way to eat these is vinegar and salt. Cider vinegar, rice vinegar, I am not picky. But when the garden or Farmer's Market is full of delicious produce, this salad is our favorite. I thought it was called Confetti Salad, but a Google search finds a jillion variations called confetti. Oh well, call it delish. It is best when all the veggies are the same size. I know there are no quantities on the V and O. I use way more vinegar than the average soul. It is most delicious eaten the day it is made. Great on a taco, on top of grilled fish or chicken, tossed with shrimp, and all by itself. If you have leftovers, drain the juice and redress it before serving again. The salt will really draw out the water from the cucumbers and make the dressing rather flavorless.